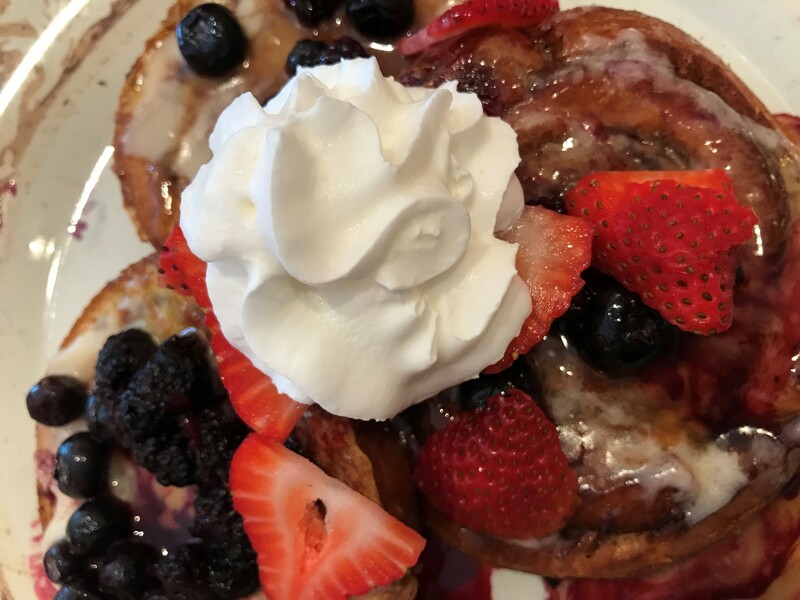 Brunch… like maple syrup cascading down fresh French toast that is topped with succulent fruit, or like pats of melting butter that race down one of the hottest, fluffiest buttermilk biscuits that mankind has ever dared create? Say it with me this time. Brunch. 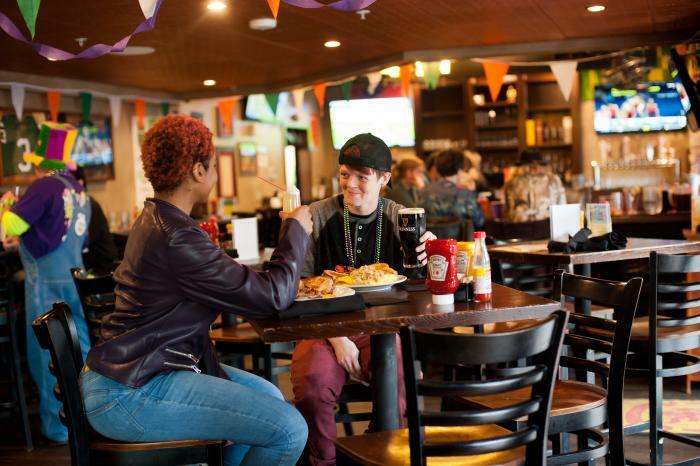 In the name of science and human decency, I made a gigantic personal sacrifice* and conducted research all across the city to discern the best of the best brunches in Huntsville. So here you have it, the fruits (and eggs and pancakes) of my labor. Happy brunching! Why can’t you tease egg whites? Because they can’t take a yolk! Top Choices: So. Many. Things. The Challah French Toast made with fresh baked challah slices, Vermont maple syrup, and vanilla cream. The Bread Pudding Pancakes because bread pudding + pancakes= 8th wonder of the world. Edgar’s Quiche. 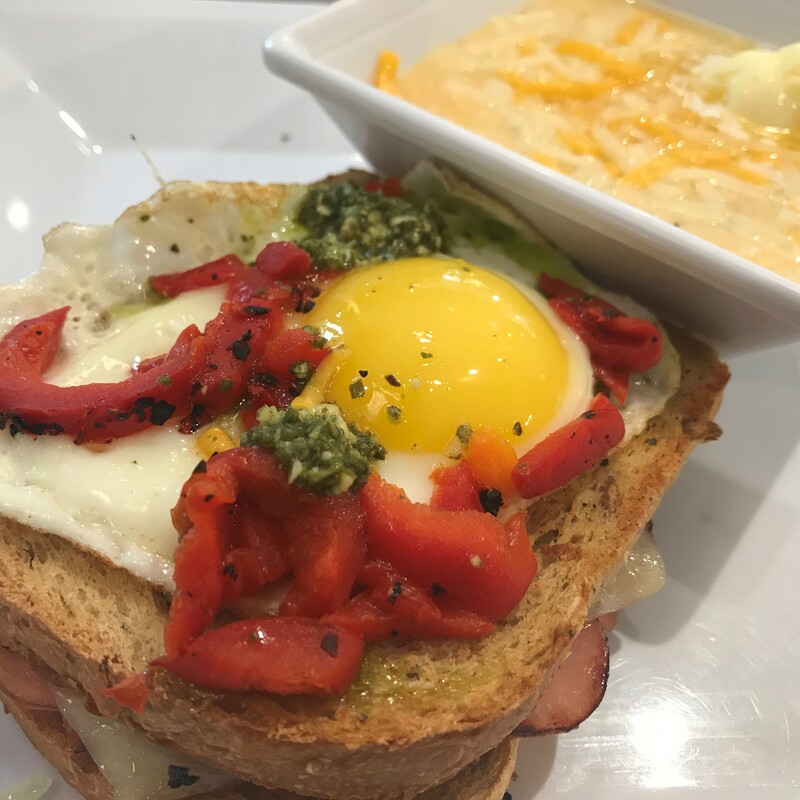 The Croque Madame with its Swiss cheese and ham with a fried egg, pesto, and roasted red peppers. The Old Fashioned Oatmeal with seasonal berries, pecans, and a dash of cream. Advice: Save room for the orange rolls. And for a cream cheese melt-a-way. Oh, and the chocolate croissant, too. Just go ahead and bring a second stomach. Top Choices: Anything that you would want your grandma to make you for brunch (that also happens to be on the menu). Chorizo Omelet to spice up your morning. Biscuits topped with thick gravy and side of fresh sliced tomatoes. Advice: Coffee is nice and strong—just the thing to power through all the tasty food. 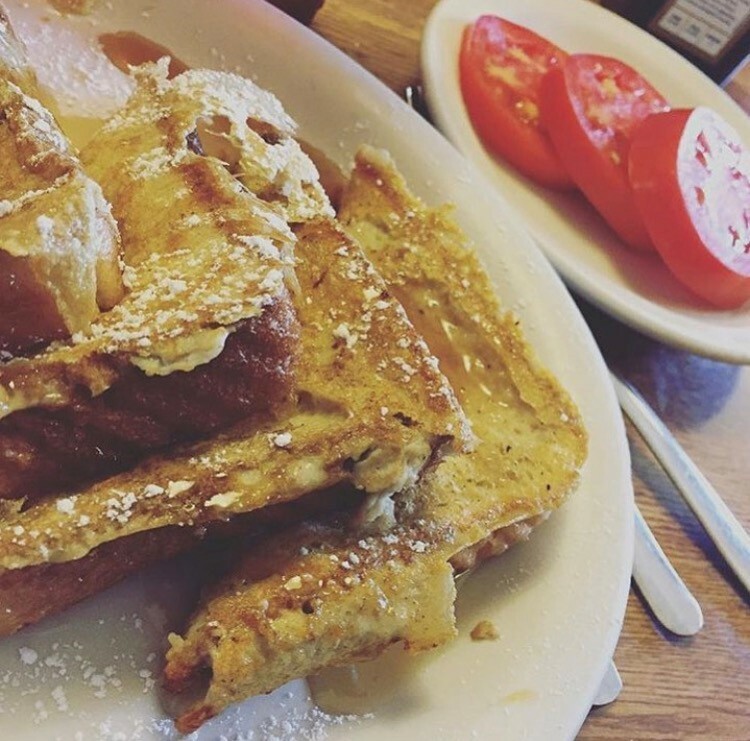 French Toast and tomatoes. I love brunch from my head tomatoes. Top Choices: The Pizza... for Breakfast!? Yes, because A. life goals, B. it has a farm fresh egg cracked over the top., and C. saying the name of the dish dramatically is really, really fun. The Shrimp n’ Grits with Spicy Creole Andouille Cream Sauce. Advice: Try the pulled pork on the Pizza… for Breakfast?! Why has this not always been in my life? Top Choices: The Brioche French Toast drizzled with fresh blackberry and raspberry syrup. The Corned Beef Hash Omelet simple goodness of fried potatoes, corned beef, and Swiss cheese. 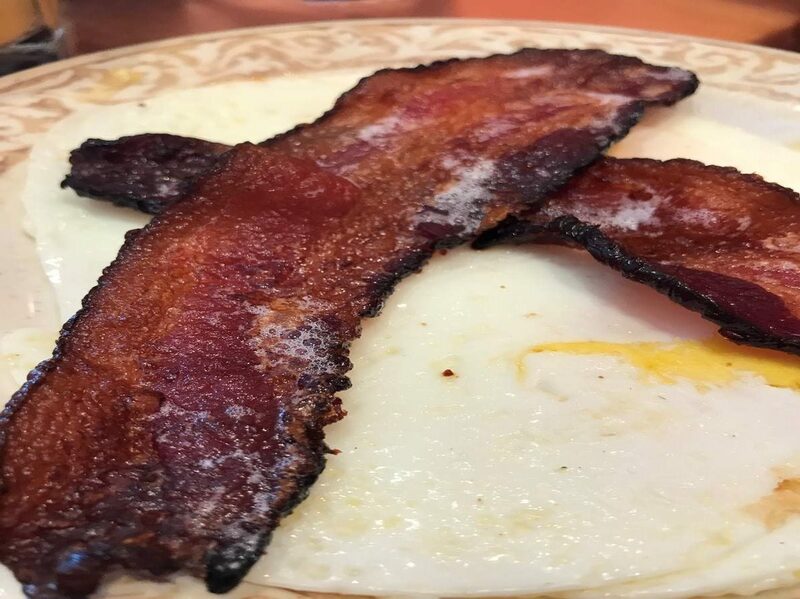 Advice: If you love bacon, treat your mouth to a rasher of their applewood bacon. Top Choices: Crab Cake Eggs Benedict, Veggie Frittata, and some slap-yo-mama Chicken & Waffles served over pecan butter sauce. Advice: Their mimosa special brings in the crowds, so be sure to rise and shine to get a spot! Boozy brunch options: 29-cent mimosas 10 am - 11 am, $3 mimosas 11 am - 2 pm. Top Choices: Try the Main Squeeze Benny - lobster claws steamed and served on potato bread with poached eggs and hollandaise sauce. NOM. These are just a few of our local favorites. 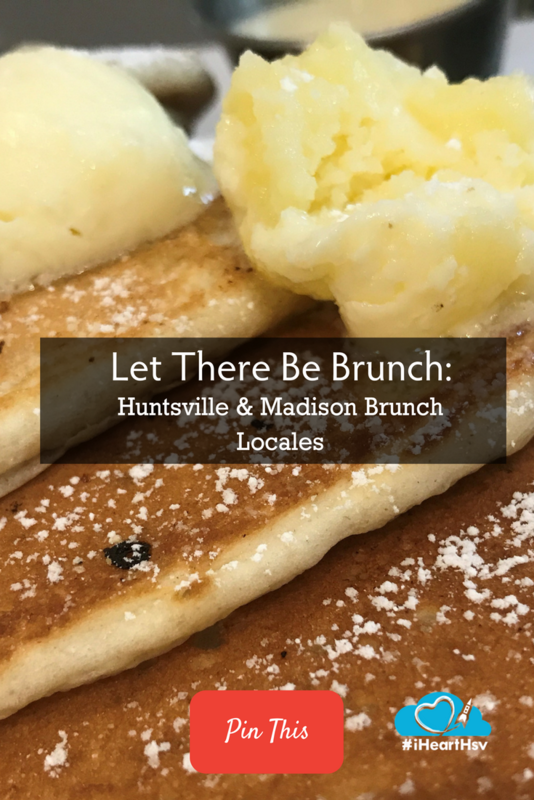 Have another local Huntsville/Madison County brunch spot? Let us know about it in the comments!